The UK National Screening Committee published their much anticipated consultation document setting out some radical recommendations for the bowel cancer screening programme. Our Head of Policy and Campaigns, Asha Kaur, looks at what the consultation recommends, what it means for bowel cancer screening and what needs to happen to make it a reality. We all know that bowel cancer screening provides the best way to find bowel cancer when it is at an early stage, more treatable and with a good chance of survival, indeed nearly everyone at the earliest stage of bowel cancer does survive. For national screening programmes to remain effective at early cancer diagnosis they need to regularly review fresh research. The organisation responsible for this review process is the UK NSC and from time to time they advise Ministers and the NHS in all four UK nations on changes that can improve the screening programmes. 2003 - the use of the guaiac faecal occult blood test (gFOBt) to test for small amounts of hidden blood in poo in all men and women age 50-74 every two years. The gFOBt looks for the presence of blood in stools. Those who test positive are referred for a colonoscopy. The use of gFOBt has been shown to reduce deaths from bowel cancer by 16%. 2011 - screening for bowel cancer using flexible sigmoidoscopy (bowel scope) as a one-off test. Research shows that a one off FS could save up to 3,000 lives a year and prevent a third of bowel cancers in those screened. 2015 – the faecal immunochemical test (FIT) to replace gFOBt as the primary screening test. FIT is proven to be easier to use than gFOBt and more accurate. Unlike the gFOBt, FIT measures the amount of blood in a small amount of poo. The sensitivity of the test can be adjusted which enables it to detect very small traces of blood and so identify more and earlier cancers. The sensitivity level or threshold is expressed as the number of micrograms of haemoglobin in each gram of poo (ug Hb/g faeces). The lower the threshold number, the greater the sensitivity of the test. A threshold of 20ug Hb/g, might detect twice as many cancers and over three times as many advanced adenomas than would a threshold of 180ug Hb/g. However, a highly sensitive test will require many more people to have colonoscopy. Implementation of the NSC recommendations varied across the UK. This variation is because health is ‘devolved’ and individual nations make decisions for their own population based on available resources, staff capacity, their priorities and what they can afford. To find out what screening is available where you live read here. The effectiveness of combining FIT and bowel scope in a screening programme has not been studied and so the UK NSC recently commissioned a review of its cost-effectiveness. The review, undertaken by ScHARR, the Sheffield School of Health and Related Research, looked at the value for money of using both FIT and bowel scope in the screening programme in England. According to the report, current colonoscopy capacity only allows us to screen ages 51-65 at a FIT sensitivity of 161ug/g, every 2 years. The report makes the observation that cost effectiveness depends upon the proportion of those who are invited to do the test (currently less that 50% for bowel scope but projected to be close to 67% for FIT screening). It also highlights uncertainty about the available endoscopy resources required to provide the screening options; bowel scope is labour intensive and even with its poor uptake, England has only found resources to reach 43% of GP practices. FIT with its high uptake and at its optimal high sensitivity (low threshold) requires substantially more skilled staff including colonoscopists and pathologists than we currently have. Whilst demand for endoscopy services has steadily increased, the ScHARR report shows that resources would need to increase massively if the screening programme is to fully exploit its potential for cost-effectiveness. The report makes very clear that a decision on the optimal screening strategy must consider current and future colonoscopy capacity. You can find out more about the lack of endoscopy capacity and its impact on the implementation of a number of bowel cancer initiatives in a previous blog. If colonoscopy capacity was unlimited, the optimal cost effective screening strategy would be two-yearly FIT from the age of 50-74 and at a threshold of 20ug/g. However the UK, like most other countries with reasonable uptake to a population-based screening programme, do not have sufficient clinical staff to meet the demand at such a high sensitivity. According to the report, current colonoscopy capacity only allows us to screen ages 51-65 at a FIT sensitivity of 161ug/g, every 2 years. To be able to screen ages 50-74 using a more sensitive FIT would need thousands more colonoscopies and marked increase in pathology resources. The situation with bowel scope is more complex. Whilst a one-off bowel scope has been shown to be highly effective in research trials, the screening programme has not experienced the trial outcomes. The difference between the trial and programme probably relates to the lower screening programme age of 55 years and to a poorer uptake of the service. In practice, and despite efforts by the programme, less than 50% of the population in England are currently invited because bowel scope resources are insufficient. Bowel scope as it is currently performing in combination with a high FIT sensitivity does not prove to be cost-effective. The implications and impact of both options outlined must be carefully considered. But regardless of the decision made, it is vital to ensure that the NHS increases the resources and capacity to deliver an effective high quality screening service and that includes ensuring necessary investigations following an abnormal test are available within 14 days and that the full screening service is available to all of the target population. As it stands the lack of colonoscopy and pathology capacity are the biggest barriers to implementing the optimal bowel cancer screening programme. The ScHARR report makes it clear – there is little more we can do with current capacity. 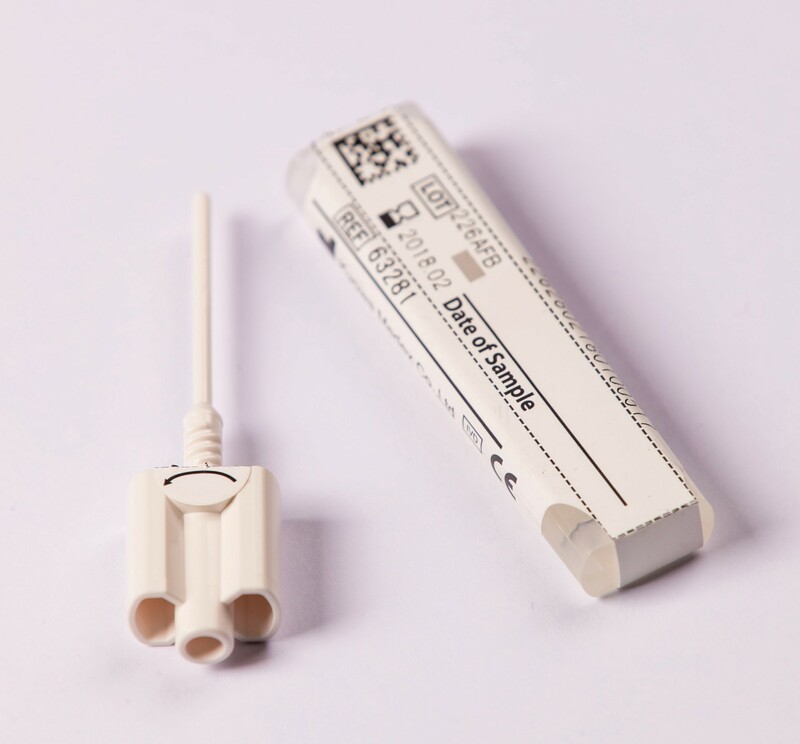 If we want to do ‘more’ – and we must do ‘more’ because with FIT we now have the ‘tools’ to save more lives – then increasing high quality colonoscopy capacity as quickly as possible is essential.